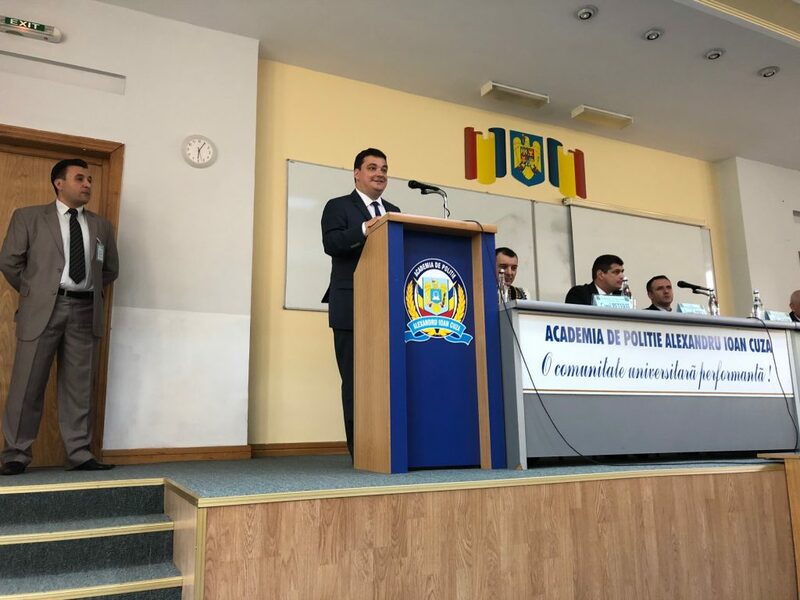 On May 10-11, 2018, the Auschwitz Institute for Peace and Reconciliation (AIPR) joined with the Alexandru Ioan Cuza Police Academy to hold a National Training Seminar for the Prevention of Genocide and Mass Atrocity in Bucharest, Romania. Held at the Academy, the seminar welcomed 25 of the institution’s instructors as well as officials from the Ministry of Internal Affairs to participate in the event. 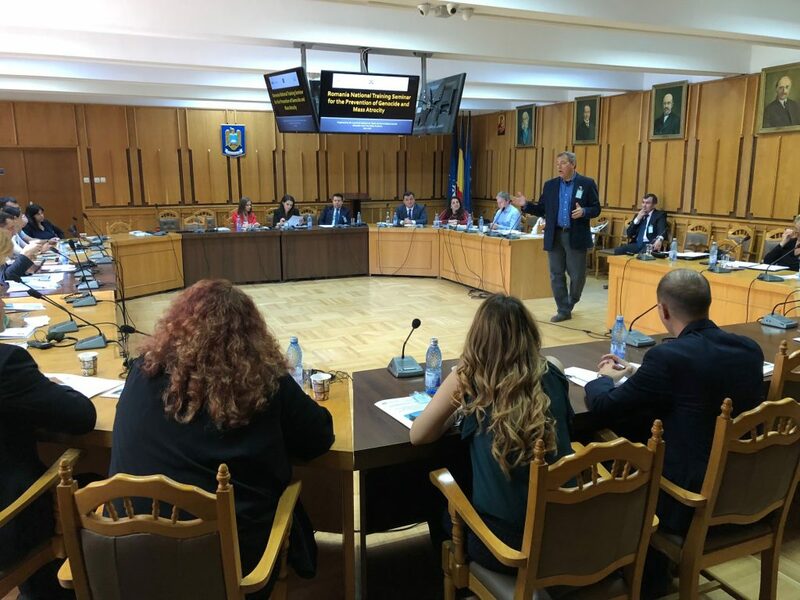 The success of the program marked another milestone in Romania’s continued leadership in the development of the nascent Mediterranean Basin Network for the Prevention of Mass Atrocities. In addition to familiarizing participants with the concepts of genocide and mass atrocity prevention, the seminar’s curriculum was created with the objectives of empowering participants with an awareness of the practical competencies necessary for effective prevention and enabling participants to develop their own introductory courses on atrocity prevention, supported by a network network of educators, for the students of the Academy, as well as for the training of executive officers and other officials at the Ministry of Internal Affairs. 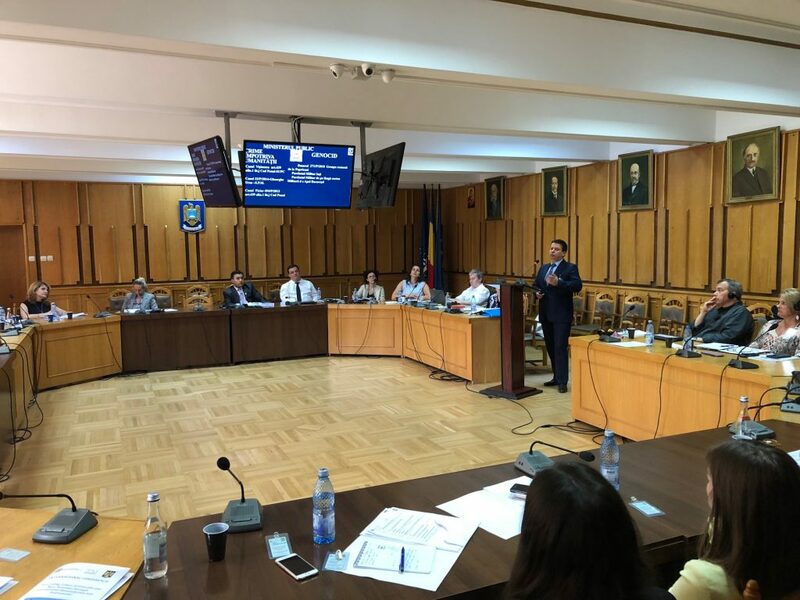 The National Training Seminar represents the first instance where the Auschwitz Institute has had the opportunity to engage directly with the Police Academy in Bucharest and came as a result of the positive reception of the interministerial training seminar that AIPR conducted with the Romanian Ministry of Foreign Affairs and the Romanian Diplomatic Institute in October of 2017. Following this event, law enforcement officials approached AIPR with their desire to build the necessary capacity to integrate bespoke courses on the topic of atrocity prevention into their regular training curriculum. Over the course of the two-day program, interactive presentations were given on a wide range of topics in atrocity prevention. Beginning with a module introducing foundational concepts, the first day of the seminar also covered risk factors for identity-based violence and a module on dealing with the past as a tool for addressing contemporary challenges. 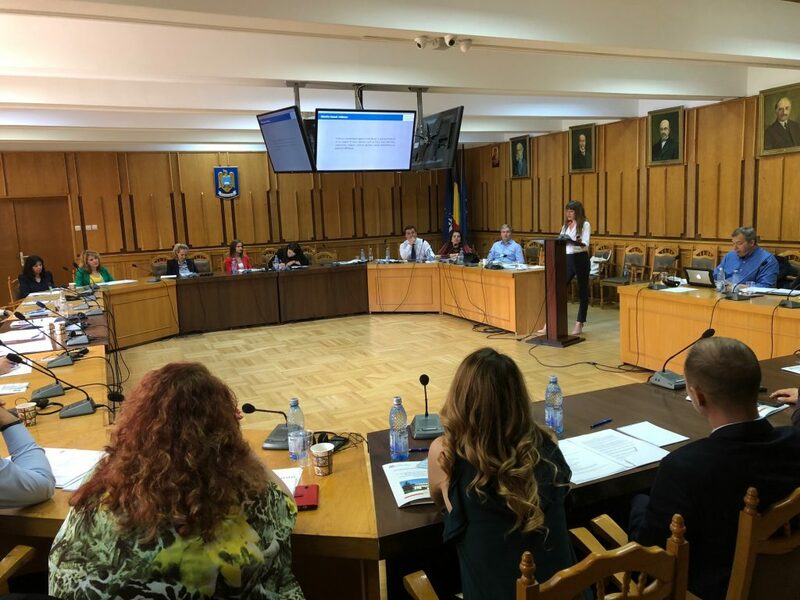 The seminar’s second day covered themes in transitional justice, perpetrator psychology, national mechanisms for atrocity prevention, and lessons learned for prevention-centric pedagogy, as well as introducing a case study on military justice and policy development in Romania.